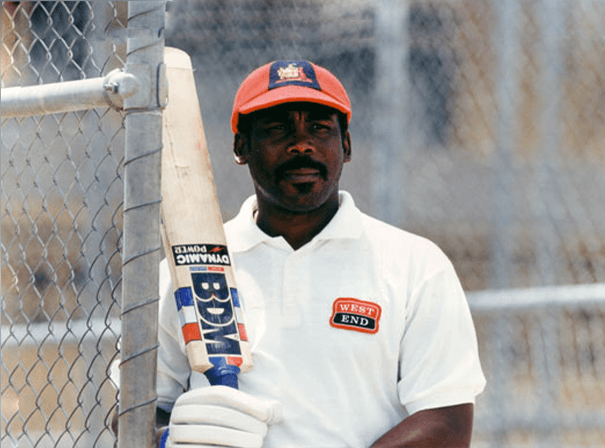 A former West Indies cricket player, Gordon Greenidge was the opening batsmen for his country and in his career he scored 37,000 runs and 92 centuries. As a high profile sportsmen with a wealth of stories to tell, Gordon is a popular and in demand guest speaker who went on to have a successful coaching career after retiring from the game. Gordon played for his country between 1974 and 1991 and was one half of the famous batting duo with Desmond Haynes. The pair made 6,482 runs while batting together in partnerships, the highest total for a batting partnership in Test cricket history. In his illustrious career he played 108 Test Matches 56and also played 128 One Day International matches, including playing in the 1975 and 1983 World Cup Finals, scoring 5,134 runs and 11 centuries. IN his time he scored two famous double centuries against England in a series his side one 5-0 and the first of those innings was on the last day as West Indies successfully chased 342 for victory. It remains the highest ever run chase at Lords and Gordon also played for Hampshire in the English domestic league. Greenidge is currently on the West Indies selection committee for Test matches and after retiring coached Bangladesh in 1997, winning a number of trophies.